Then Kale, a fisherman’s daughter, is trapped in a tunnel where she makes a shocking discovery. And that discovery may very well lead to the destruction of her entire world. Kale takes up a challenge of following a path forbidden to her in a race to save Quanx from a tribe of conniving dragons. With the help of three uncooperative companions, Kale must steal a dragon egg or die trying. 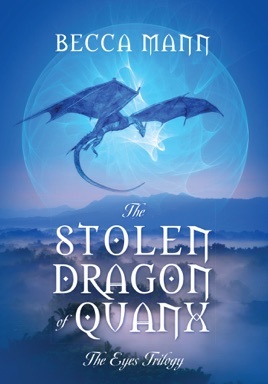 The Stolen Dragon of Quanx is the first novel in The Eyes Trilogy, a compelling new series that will pull you into a fascinating world…and leave you breathlessly waiting for the sequel!